Dave Caldwell doesn’t have to travel into the future to see how a sustainable beach house he built in Westerly, Rhode Island—a complete rebuild of a home destroyed by Hurricane Sandy—will survive the next major storm. Half an hour northeast along the coastline, on the ocean side of Narragansett Bay, stands a testament to resiliency, another new home that Caldwell completed in October 2012, just two weeks before Sandy swept in. Featuring a CertainTeed Apollo II solar shingle system that is integrated with asphalt roofing shingles, the Narragansett Bay home weathered the worst storm to hit the Ocean State in more than half a century, emerging unscathed while one thousand other coastal Rhode Island properties incurred a combined $35 million in damage. The home’s survival demonstrated the combined power of durable building materials and smart construction techniques, and Caldwell used the same approach to rebuild the Westerly home. For Caldwell, the second-generation owner of Caldwell & Johnson, a design-build firm founded in 1968, the construction industry’s response to Hurricane Sandy only validates an approach to sustainable building that emphasizes long-term value over one-time costs. He says the owners of the Westerly home were not afraid to put a little money into making the building durable. It’s a good thing nobody was at the Westerly home in late October 2012 when 15-foot waves carrying softball-sized stones and tons of sand crashed onto Misquamicut State Beach. The structure there at the time was a bedrock of family tradition, but it was no match for flooding and gale-force winds. Caldwell describes the storm’s impact in neat and peaceful terms. “After the tidal surge, not much of the house was left. Where the living room used to be, there was a four-foot pile of sand,” he says. Commissioned to rebuild using the maximum footprint allowed by regulatory agencies, Caldwell designed a flood-resistant foundation, airtight insulation, efficient heating and cooling systems, and a third-party-verified air quality measurement that combined to achieve a silver rating by the National Green Building Standard. Traditional solar panels, however, would not have been suitable for the Westerly beach home because durability was a principal concern for the client. Caldwell was able to easily dispel the concern by referring to the Narragansett Bay project that survived Hurricane Sandy, where his team had installed Apollo II solar shingles for the first time. “That home came through the storm with no problem at all. The solar energy system turned on and hasn’t had a problem since,” he says. If the conditions in Rhode Island don’t provide enough assurance that CertainTeed’s solar shingles can withstand the worst that Mother Nature has to offer, Caldwell can also point to another Apollo II installation he put on his own ski house in the White Mountains of New Hampshire, about 2,000 feet above sea level. For high-end projects with an aesthetic that requires preserving the architectural integrity of the roofline, Caldwell has his own construction crew, led by foreman Dwayne Smith, install the solar shingles. 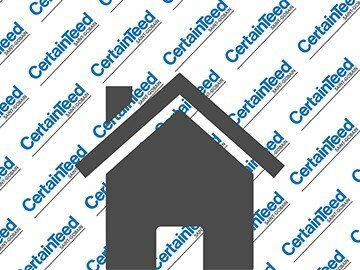 Smith went through CertainTeed’s training program to become a certified roof shingle and solar shingle integrator, making Caldwell & Johnson eligible for installation workmanship warranty protection from CertainTeed and demonstrating to customers that the company is serious about the product. Though the Apollo II system on the Westerly beach house is designed to blend into the roofline and match the color of the surrounding roof shingles, the homeowners will have no trouble spotting an impact on their home energy costs. Robert Sherwood, a senior project manager at the energy consulting firm CLEAResult, says the solar shingles helped reduce the project’s Home Energy Rating System (HERS) score from 60 to 36, resulting in substantial energy savings each year. The HERS index is a tool created by the nonprofit Residential Energy Services Network (RESNET) to report on energy efficiency in new and existing houses. New homes can attain a score of 0 to 100 with lower scores for more efficient buildings. Sherwood says a score of 75 corresponds loosely with the threshold for meeting the new energy code in Rhode Island, and a home would have to score in the low 60s or lower to achieve Energy Star certification. According to Sherwood’s analysis, the Apollo II solar shingles are expected to produce 21.4 million BTUs (6,276 kilowatt-hours) per year. This level of output would reduce energy costs by $920 a year, and if the homeowners consume energy at the anticipated rate, the savings from the system would offset 59 percent of the utility bill. Anyone who installs a solar electric system can claim a 30 percent federal income tax credit. After monetizing the credit and collecting the expected annual energy savings, the solar system would pay for itself in four years and continue generating energy at no cost for at least 20 years.